Roughly 1000km west of Buenos Aires lies the bustling city of Mendoza, a cosmopolitan confluence of leafy boulevards, gorgeous plazas and delicious wine. Nestled in the foothills of the Andean mountain range, Mendoza is one of those rare places that satisfies everyone; from thrifty backpackers to higher end visitors, all of whom come to sample the region’s most famous export. Although a short flight is the most convenient way to get from Buenos Aires to Mendoza, the alternative – a long overnight bus journey – acts as a stunning introduction to this Argentinian adventure, weaving through gorgeous mountain scenery before continuing past acres and acres of vineyards. Stepping out and breathing in the fresh mountain air, we knew we’d picked the right place to come and relax after a week of tango dancing and one too many steaks in the capital. Mr and Mrs Hugo have achieved somewhat legendary status with gringo backpackers across South America for their vineyard bike tours. Not to be left out, we reached Mr Hugo’s first thing the next morning and were greeted with a jug of red wine and a map – a positive start to our potentially hazardous day of wine tasting and bike riding. The wisened old Mr Hugo waved us off with a cheery smile, and we set off intrepidly aboard our new two-wheeled steeds. 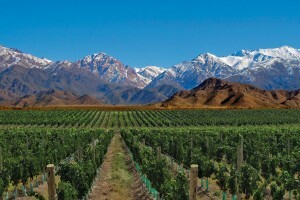 The Mendoza region experienced an unprecedented wine boom in the 19th century due to its favourable continental climate and the establishment of the Buenos Aires-Mendoza railroad. Today the province still accounts for nearly two-thirds of Argentina’s wine production and is home to over 1500 bodegas (Spanish for winery). Crikey, where to start then? We studied our map carefully, before setting off along Urquiza road in a haze of dust whipped up by the trucks zooming past. We soon turned off the main road continuing in formation down a wide, leafy avenue. Our first stop was at ‘Bodega La Rural,’ which offered a fascinating explanation of the wine making process; from the hundred year old methods used by colonial winegrowers to the modern fermenting equipment used today. A glass of Malbec down, we pedalled onwards. Arriving at ‘A la Antigua,’ we joined a tour of the olive tree garden, where the owner demonstrated how olive oil was made before we headed inside for a tasting. Delicious homemade bread was offered as an accompaniment to the wide range of olive oils, vinegars, jams and tapenades, all washed down with scrumptious home distilled liquor. Next up was Bodega Tempus Alba, where we enjoyed a delicious bottle (or two!) of Merlot on the winery’s terrace, overlooking more impressive expanses of grape vines. We pedalled and pedalled and the names of the wineries became hazier and hazier -perhaps that last glass of Malbec at Bodega Vistandes (or was it Bodega Trapiche?) hadn’t been such a good idea. We returned to Mr Hugo’s a little more informed but far less stable than when we had set off. 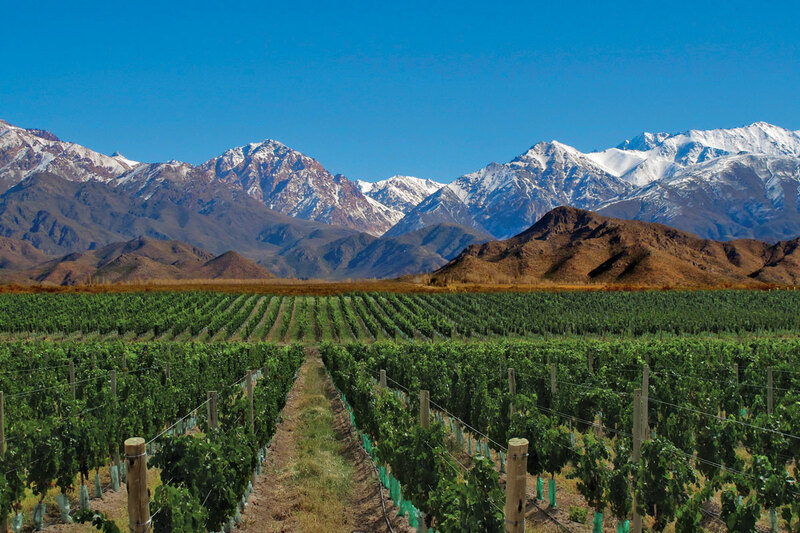 Mendoza remains an absolute highlight of my South American adventure; where else can you experience tantalising food, not to mention world-class wine, all set against the stunning backdrop of the Andean Mountains? Absolutely not to be missed!